Brugge has over 2.5 goals in their last 3 away matches. PSV Eindhoven scored in last 10 matches. Galatasaray has under 2.5 goals in their last 3 away matches. Napoli scored in last 11 home matches. Paris Saint-Germain scored in last 29 away matches. Liverpool has under 2.5 goals in their last 4 away matches. Brugge scored in last 4 away matches. Red Star won their last 3 matches. Liverpool scored in last 4 matches. Red Star scored in last 5 home matches. Inter won their last 6 home matches. Barcelona won their last 6 matches. Paris Saint-Germain scored in last 50 matches. Schalke 04 has under 2.5 goals in their last 5 home matches. Barcelona won their last 3 away matches. Inter scored in last 6 home matches. Barcelona scored in last 8 away matches. PSV Eindhoven won their last 3 away matches. PSV Eindhoven scored in last 3 away matches. Brugge scored in last 8 matches. Monaco scored in last 4 matches. Liverpool won their last 3 matches. PSV Eindhoven scored over 1.5 goals in last 3 away matches. Borussia Dortmund has over 2.5 goals in their last 3 away matches. Atletico Madrid has under 2.5 goals in their last 3 matches. 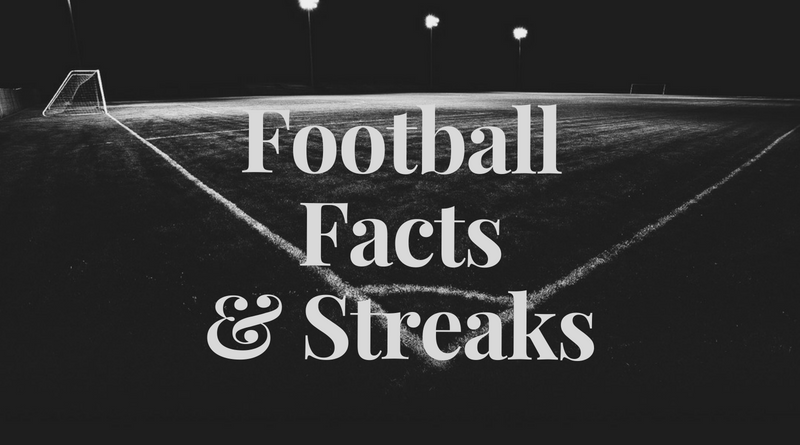 PSV Eindhoven allowed opponents to score over 1.5 goals in last 3 away matches. Borussia Dortmund has over 2.5 goals in their last 8 matches. Atletico Madrid won their last 4 home matches. Borussia Dortmund won their last 3 away matches. Paris Saint-Germain won their last 3 matches. Schalke 04 ended draw their last 3 matches. Lokomotiv Moscow won their last 3 matches. Paris Saint-Germain won their last 4 away matches. Schalke 04 has under 2.5 goals in their last 10 matches. Lokomotiv Moscow won their last 3 away matches. Porto won their last 6 matches. Schalke 04 allowed opponents to score over 1.5 goals in last 3 matches. Lokomotiv Moscow has over 2.5 goals in their last 5 matches. Porto won their last 5 home matches. Gillingham has over 2.5 goals in their last 4 games in League One. Blackpool has over 2.5 goals in their last 3 away games in League One. Walsall has over 2.5 goals in their last 3 home games in League One. Charlton Athletic has over 2.5 goals in their last 3 away games in League One. Blackpool lost their last 3 games in League One. Charlton Athletic has over 2.5 goals in their last 5 games in League One. Walsall has over 2.5 goals in their last 3 games in League One. Gillingham has over 2.5 goals in their last 3 home games in League One. Blackpool has over 2.5 goals in their last 3 games in League One. Walsall has under 2.5 goals in their last 3 games in League One. Notts County has over 2.5 goals in their last 6 home games in League Two. Oldham Athletic has over 2.5 goals in their last 3 games in League Two. Grimsby Town has under 2.5 goals in their last 6 games in League Two. Mansfield Town scored in last 4 games in League Two. Notts County has over 2.5 goals in their last 4 games in League Two. Oldham Athletic has over 2.5 goals in their last 3 away games in League Two. Notts County won their last 3 games in League Two. Grimsby Town has under 2.5 goals in their last 4 away games in League Two. Mansfield Town allowed opponents to score over 1.5 goals in last 4 home games in League Two.